Sometimes, it's the smallest ideas that have potential to make the biggest impact. That's the case with Food Cubby, a small, smile-shaped silicone band that suctions to your dinner plate. Invented two years ago by then 6-year-old Ruby Lucken, the Food Cubby's simple design was intended to help keep foods from running together. As the mother of a very picky 4-year-old—one who personally has been offended by the stickiness of syrup and the wetness of water—I can attest to the need for the Food Cubby design. Keeping foods in their proper places matters to my little guy, and I know he's not alone. I find myself using small, snack-size bowls to help keep my side dishes separate from the entree. In these instances, a Food Cubby would come in handy … and it would mean fewer dishes to wash after meals. For Food Cubby, though, separating foods is just the beginning. The product's design makes it an aid to young children learning to use utensils or anyone who faces challenges using forks and spoons. The Food Cubby's edge provides a small, sturdy barrier that helps to stabilize foods for each spoonful, making them easier to scoop. Trying to secure a spoonful of mac and cheese or applesauce was never easy—and extremely frustrating—for my son; A Food Cubby would have been the perfect assist. More than that, the Food Cubby can play an essential part of helping children and adults develop healthier habits through portion control. There's an old healthy eating trick that calls for trading dinner plates for salad plates. On a small plate, the same serving size looks larger than it would on a dinner plate, tricking your mind in to better understanding when your stomach tells you you're full. Food Cubby can work in a similar way. Its dividers hold a specific amount of food, helping diners better visualize what a single serving size looks like on a plate. Placing the Food Cubby separators back to back can help divide a plate into four fairly equal sections. Made of food-grade silicone, the Food Cubby dividers are dishwasher safe and do not foster the growth of bacteria. 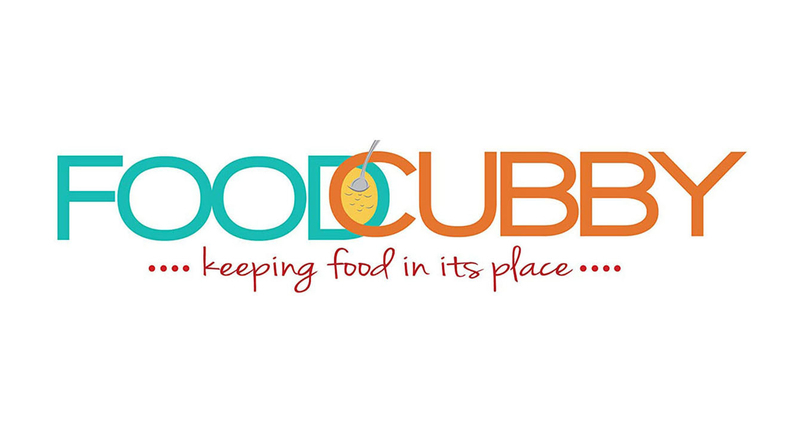 Available in either green or orange, Food Cubby can be purchased through its Amazon store at a price of $15.99 per two-pack.